BlasterX Senz3D is a glimpse of our future. 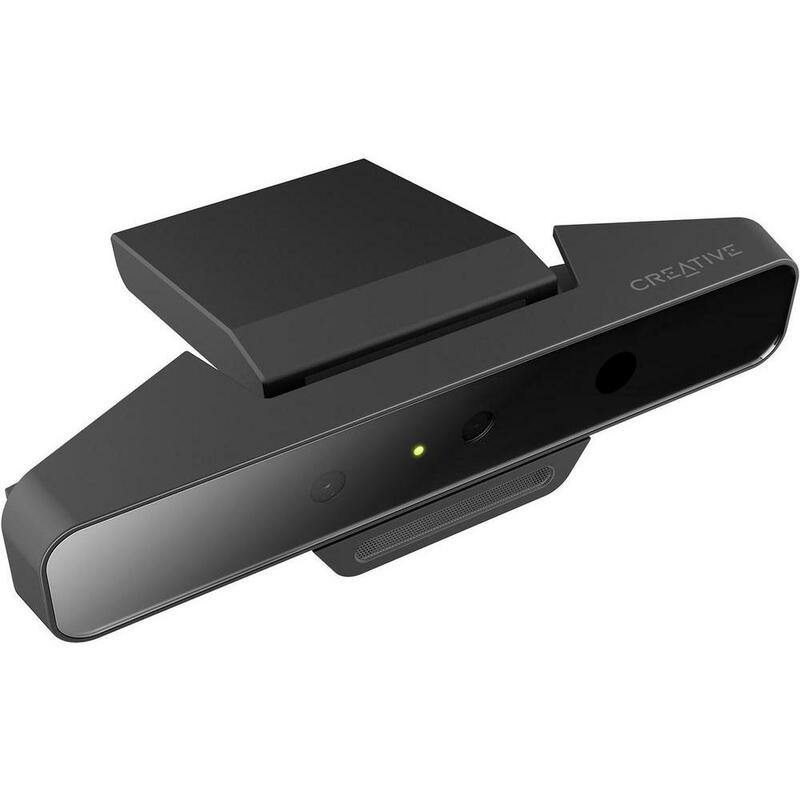 It is an intelligent webcam that possesses the advanced know-how and technology. Like a human eye, it senses depth and tracks human motion. The webcam has three lenses to capture the visual data: a RGB camera, an infrared camera, and a laser projector. Capturing those visual data, these lenses work together with Intel® RealSense™ Technology to respond to your facial expressions and body gestures. FACIAL ANALYSIS - 3D face detection tracks and recognises head pose, expressions and emotions. GESTURE TRACKING - 22 points of hand and joint tracking for accurate gesture controls. AUGMENTED REALITY - Add virtual reality to your surroundings as you swap out backgrounds for deeper immersion in your gameplay. VOICE RECOGNITION - Be in control of everything from navigation, Google searches to your video calls.